The UFO of these two photos, One captured on 17 Dec 2009 and another on 11 Jan 2010. 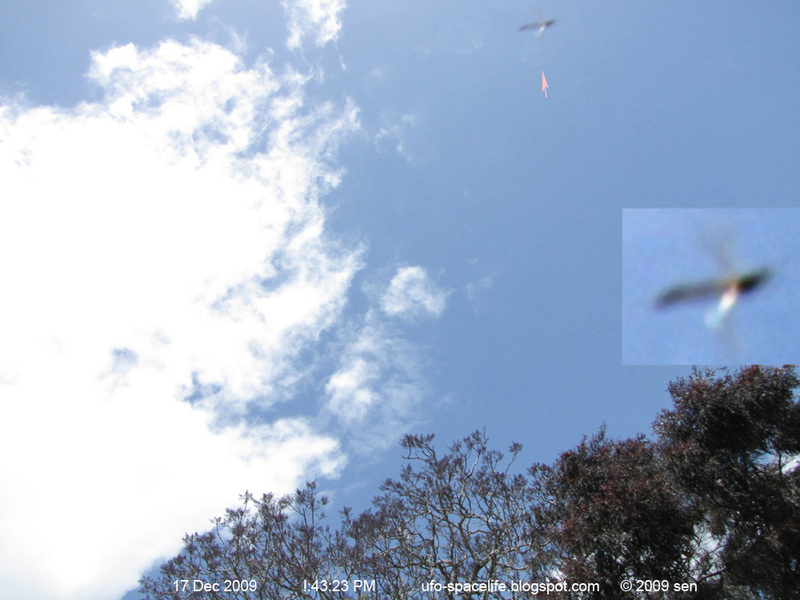 Both pictures taken with a shutter speed of 1/1000 of a second. The objects look large in size. 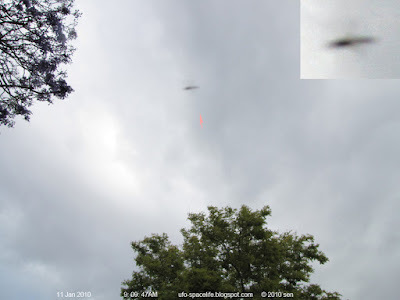 from one picture you can see some orange & white light emitted from one end of the UFO.